BRUSSELS, Feb 2 (KUNA) -- Martin Kobler, Special representative of the UN Secretary General for Iraq, on Thursday urged the EU Member States to receive the Camp Ashraf's residents in Iraq as refugees. "My message goes to the governments of EU Member States because the final purpose of the whole exercise to move people from one camp to the other for them to undergo the refugees' status determination is to bring them abroad, " Kobler told a press conference in Brussels this evening. "And so far the answer of (EU) Member States to receive the Camp Ashraf's residents as refugees, once recognised in their host country, was not that enthusiastic. And my appeal goes also to Member States, then at the end once they are refugees, to take them into their countries and to give them a live and freedom and liberty in their countries," he added. Camp Ashraf is a camp of more than 3000 exiled members of the Iranian People's Mujahedin dissident group , which is located some 60 kilometres north of Baghdad . Camp Ashraf was until 2009 under the control of the US military, but has since been controlled by the Iraqi Government. On 25 December, the Iraqi Government signed a Memorandum of Understanding organising the transfer of the Iranian dissidents to a transit location near Baghdad Airport, Camp Liberty. It would allow the Iranians to undergo the refugees' status determination with the assistance of UNHCR. On his part, Hugues Mingarelli, Managing Director for the Middle East and Southern Neighbourhood in the EU, stated that the EU High Representative Catherine Ashton will continue to raise the issue with EU Member States in order to look to possibilities to relocate some of the residents of Camp Ashraf. Ashton has called on the Iraqi government to refrain from all violence and to fully respect the human rights of the camp's residents. 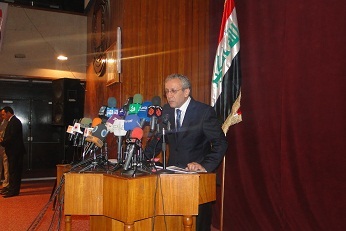 Ambassador Dan Fried, US Special Advisor for Camp Ashraf told the press conference that people from Camp Ashraf need to be considered individually. "And to make determinations about any specific individual we need to know more about them and such information can be obtained only after they moved to Camp Liberty and participate in the UNHCR status determination process, " he added. Sahar Family Foundation has written a letter to the Special Representative of the United Nations Secretary-General for Iraq, Mr Martin Kobler, regarding the latest developments at the base of the Rajavi cult in Iraq. According to information gained from inside Ashraf garrison, Massoud Rajavi arranged a video conference with Ashraf inhabitants towards the end of September 2011. 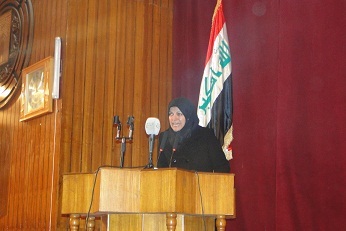 Participation in this session was mandatory for all cult members residing in Ashraf. In this conference, which lasted for 8 continuous hours, Rajavi tried to prepare his followers for the possible UN interviews beforehand. He directly threatened members of his cult that during interviews they should not say or write anything but their names and the period they have been in Ashraf garrison, and should not mention anything about wishing to leave the base of the cult since this would produce severe consequences for them. In his lengthy speech, Rajavi tried to frighten people against any and every possible UN action and emphasized that they would gain no benefit from the UN interviews and the UN intervention and it could even harm them. He told them that if they do anything except what he has asked them to do they would be arrested and handed over to the Iranian regime where they would be tortured and executed. During his speech, Rajavi said that the Iraqi government, the EU, the UN, the ICRC and any other agency cannot make any decisions and the US is the only agency that makes all the decisions. In this respect he tried to give hope to his followers that with the US administration’s approval, the conditions that the organization used to enjoy under Saddam Hussein would be reinstated. The information received from Ashraf garrison also indicates that all members have been put on a state of alert against the Iraqi forces and specific plans have been made in this regard. These plans are mainly defensive but some plans for ambushing the Iraqi forces and disarming them have also been made. The members are told that after disarming the Iraqi forces they should hand over the captured weapons to their superiors and wait to be told what to do next. It should be mentioned that during the April clash with the Iraqi forces some weapons were seized from Iraqi soldiers which are still being held by the Rajavi cult. There has also been news that the leaders of the cult are actively seeking another clash with the Iraqi forces in order to eliminate some of their discontented members as they did in previous cases. This has been done several times in the MeK cult before. 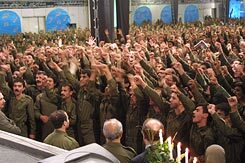 During the invasion of Iraq by allied forces in 2003, the leaders of the Rajavi cult murdered some of those who wanted to leave and later announced that they had been killed during the bombardments. In the following years as more dissidents fled Ashraf garrison it was revealed that of the over 50 persons that the MeK claimed were killed as the result of the bombardments, a maximum number of 5 had actually been killed in this way and the rest were eliminated by the cult itself. What we would specifically like to draw your attention to is that inside Ashraf garrison the brainwashing sessions called “current operations” are proceeding with intensity. The reason for these delays and time-killing by the leaders of the cult and preventing the UN from carrying out its tasks is that they want to identify those who are potential deserters and also to mentally prepare their members for the interviews. We therefore on behalf of the suffering families, who are the only right representatives of the inhabitants of the garrison and are truly following their best interests, urge you to adopt the following means. - Arrange for the hundreds of families of members, who have been picketing outside the garrison for nearly two years and merely request to visit their loved ones which the leaders of the cult have denied, to visit the inhabitants during the transfer and interview process. - Make sure that such meetings are carried out without the presence of the MeK officials. It is necessary for the International Red Cross and preferably the next of kin of interviewees to be present in order to gain the rapport and trust of the asylum seekers. - Pass adequate information about their actual situation to these people since they have been away from the real world for many years and have no clue whatsoever about the circumstances outside the cult. Their only source of knowledge has been the cult leaders, so they must be well informed beforehand. As before, Sahar Family Foundation declares its readiness for all possible cooperation. We would like to share all our resources in any appropriate way with the international organizations in order to reach a quick and peaceful solution for the dilemma of Ashraf garrison.